When Junior Stephen Baloyi, an entrepreneur from Pretoria, Mamelodi launched SJAY ARTWORKS with a slogan titled "BRINGING VISION TO LIFE" in 2016, he wanted to create a niche business which was to make posters for local businesses around Mamelodi. He did not make money in the first place and wanted his work to be seen by his potential customers. He then started running events with a team around Mamelodi. "We used to host events at one of the pubs in Mamelodi west but I then thought is not really what I want to do, we all had different ideas and visions and goals and people don't know what you actually looking for. 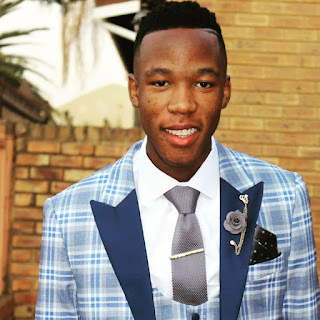 We later formed an event company management called divergence and collaborated with few others around Mamelodi but I later left the group, said Junior Baloyi. If we were to sell different ideas in Mamelodi we would all be successful entrepreneurs. The problem with being an entrepreneur especially in Mamelodi, is that we do not support each other financially although you learn what to do and what not to do in business in the end. I've learned to have my own code of conduct for my company to avoid people taking advantage especially when coming to payments. He mentioned that he has gained a lot of exposure in the industry and even learned how to be a DJ, events marketing, Own HR and branding. That has helped him to find himself of a massive brand and poster making that has been growing far beyond his original vision. He's rolling with it adapting right alongside his one-man company. Junior has been in the industry for 3 years. He still pursue doing more to develop others in Mamelodi and to get his business abroad. "My work motivates me, I believe more in putting words into a picture and seeing my work out there inspire me to do more", said Junior. He had people who mentored him throughout his journey, although he has done most of the work to get himself at a peak and some of those people were very inspirational to him, one of them being Ron Epidemic who is a producer and produced for popular artists. He influenced him positively in the journey and that tough Junior perseverance and humbleness. "My sense of focus helped me to be where I am today, responsibilities made me want to be in this business and work for someone at the same time, I always thought it wasn't enough to live off. I invest more time and money in myself and company to generate more income", said Junior. Junior says for those who pursue being in the same business, grasp your skill, everyone has their own way of designing things, use your own designing skills, get your skills right and don't be in it for money! In few months time, he said he will want to see himself having his own space of work and have a team to work with.